Staff at a museum say they are terrified after they captured this spooky photograph of a candle-lit ‘GHOST’ creeping between the artefacts. 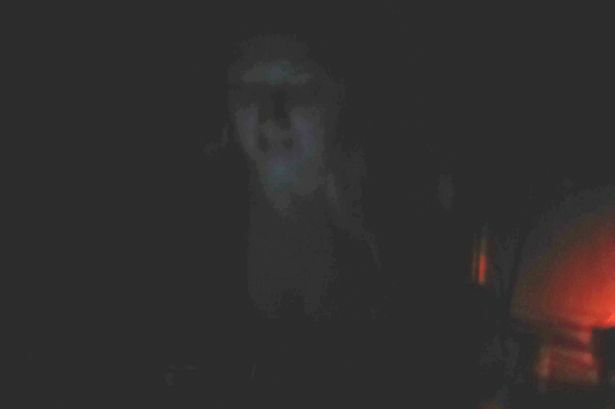 The scary snap appears to shows a woman in old clothing emerging from the floor and casting her eyes down towards a light. It was taken during a ghost hunting evening at Torquay Museum in Devon and staff claim nobody else was in the room when it was shot. The image was captured in the museum’s Old Devon Farmhouse Gallery – a mock-up of a cottage filled with 300-year-old artifacts and furniture. Staff were randomly taking photos and only spotted the figure when looking back at the images later. Marketing manager Carl Smith said: “We saw something in the middle of the photo and when we adjusted the contrast we clearly saw the woman. “It was a bit of a surprise and pretty creepy. “From the angle of the photograph it looks like she is submerged into the floor, almost like she is below floor level. “There was no-one else present when the photo was taken so we are at a loss to explain it. The snap was taken in May but only emerged when Carl was going through photos in preparation for the next paranormal Night at the Museum event later this month. It was taken by him at around midnight in front of the fireplace in the room which is set up as a traditional Devon farm house. He said: “Most of the equipment in the Old Farmhouse was left to us by a benefactor, and the oldest chair in the collection has been dated at around 300 years old. “All of the furniture and equipment has had a lot of human interaction, and maybe this is where the energy has come from. “We were very excited about the picture. We were taking photos all over the place, and it wasn’t until afterwards when we examined them more closely that we noticed it, which was quite spooky. The museum was founded in 1844 and its highlight is the mummified remains of a four-year-old boy from Ancient Egypt.